★ Light-weight and Extra-thin-It creates the wing-free thin & lighter mechanism by applying the XYθ module. ★ The cross-roller bearings have been pre-loaded, to perform the whole unit high precision and rigidity. 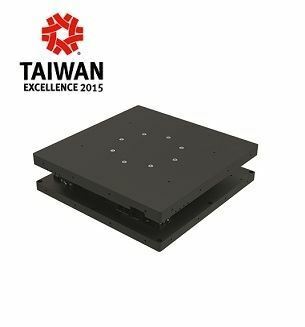 ★ Hollow structure-It can be used for the optical inspection devices or conduction tester. ★ Longer usage life and reliable accuracy of the Alignment stage itself is guaranteed by lubrication. ★ All products are Cryogenic Treatment. It can not only significantly upgrade the toughness and operation lifetime but also improve the dimension stability of materials. ★ 3D CMM- Ensure the quality and precision of the stage.